Inky Paws Challenge #27 Winners! Thanks so much to everyone who entered our last Inky Paws Challenge at here at the Newton's Nook Designs blog! This months Challenge was to use Kraft + Sparkle! We loved seeing all the sparkly projects for this challenge! THANK YOU to everyone who entered! All the awesome entries always make it difficult to choose the winners! 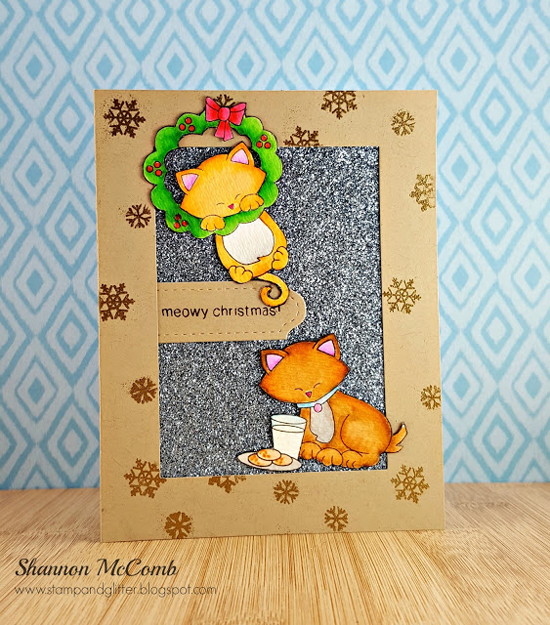 Our first top pick is this adorable card is by Shannon McComb! We love how she created a fun kraft card with gold snowflakes around the border and a big sparkly middle! We also loved the bright coloring on those kitties from our Newton's Holiday Mischief stamp set! So pretty! Our second top pick is this cute flamingo card is by Diane Jaquay! We love how she gave those sweet flamingos from our Flirty Flamingos stamp set gold santa hats. The gold and white splatter and gold letters give it the perfect finishing touch! Congrats to Shannon and Diane! Don't forget to send us an e-mail at info@newtonsnookdesigns.com to claim your $10 store credit and get your winner badge for your blog! 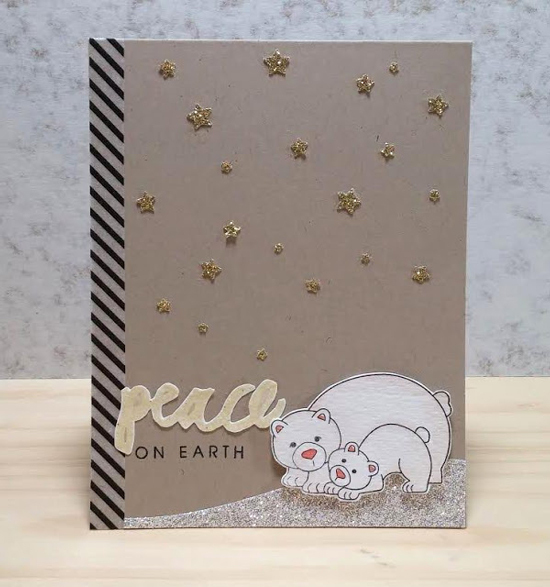 This shaker card using our Newton's Christmas Cuddles stamp set by Kate is so fun! We love how she added all the gold snowflakes and stripes too! What a ton of yummy sparkle! 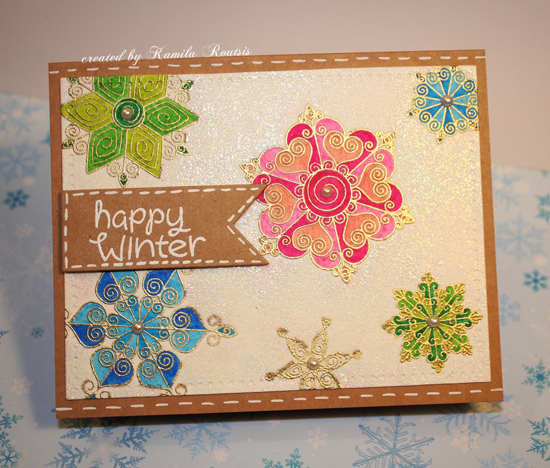 We loved all the sparkle on this gorgeous snowflake card by Kamila! She used our Beautiful Blizzard stamp set and tons of sparkle too. Check our her blog post for a video too! And one more favorite - We loved the starry sky and sparkly hill on this card by Naki! Those polar bears from our Wild Child stamp set look like they are having so much fun surrounded by all the sparkle! Thanks again to everyone who entered - It's really so much fun to look through all the entries and see everyones ideas! If you didn't win this time we hope you'll play along again next time!